Talking about surgery seems to go against a lot of what you may have heard about what we do at Total Chiropractic Care and Wellness, but it does happen. 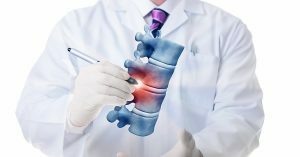 It’s true that one of the pillars of chiropractic care is to treat patients without invasive techniques or options that lead to other dangers such as prescription painkillers. For this reason, chiropractors often choose conservative treatment options. We usually only recommend surgery as a last resort. But sometimes patients will reach that point where the surgical option needs to be considered. At Total Chiropractic, we understand both sides of this coin. We can offer a variety of minimally invasive treatments from chiropractic manipulation and to or putting together treatment plans like diet and exercise or lifestyle choices. We can treat you for from a car accident, or a slip and fall injury on the job. If you have chronic back pain, we’ll work to treat you as well and yes, we’ll tell you if surgery is necessary. So, we want to give you some information about chiropractic care and back surgery. Writing in the American Chiropractic Association publication, ACA Today, Dr. Anthony Gross, an Arizona-based chiropractor, writes that chiropractors do need to work with other types of doctors. “As a profession, we need to accept that currently, the general public often seeks the advice of a primary care physician or even a spine surgeon first to determine course of care. I have witnessed this since joining a spine surgery practice with a strong national footprint,” he writes. Gross argues that since patients can and do explore surgery as a viable option for pain, chiropractors should become more educated about what surgeons do and how they diagnose patients. At Total Chiropractic, we also believe in joining forces with other doctors. One reason is that our doctor, Todd Goldman, once had back surgery himself. Dr. Goldman had suffered from back pain as a result of having played competitive sports. He found relief through chiropractic adjustment, but in 2010, he twisted his back while working out. While adjustment still helped, Dr. Goldman knew it was time for him to receive an MRI. The result showed a large herniation on a disc and he realized he needed surgery. Dr. Goldman believes that Total Chiropractic patients need to have realistic expectations for their care and our office needs to be honest with you. In his book, “Taking Control”, which is available at our office, Dr. Goldman suggests a new multidisciplinary team approach when dealing with other doctors from other areas of expertise. Our practice believes in meeting with professionals from different backgrounds regularly to discuss patient treatment and care. Total Chiropractic has an orthopedic surgeon, neurologist, and physical therapist on the premises. We also have a close relationship with many specialists such as neurosurgeons. We work with every single one of our patients to come up with an individual treatment plan that’s right for them. If that means non-invasive techniques like chiropractic manipulation, that’s what we’ll recommend, but we’ll look at tests like MRIs and discuss options back and forth with other specialists. If we feel the best option is surgery, we’ll recommend that too. If you’re suffering from back pain, let us help. Contact Total Chiropractic today.